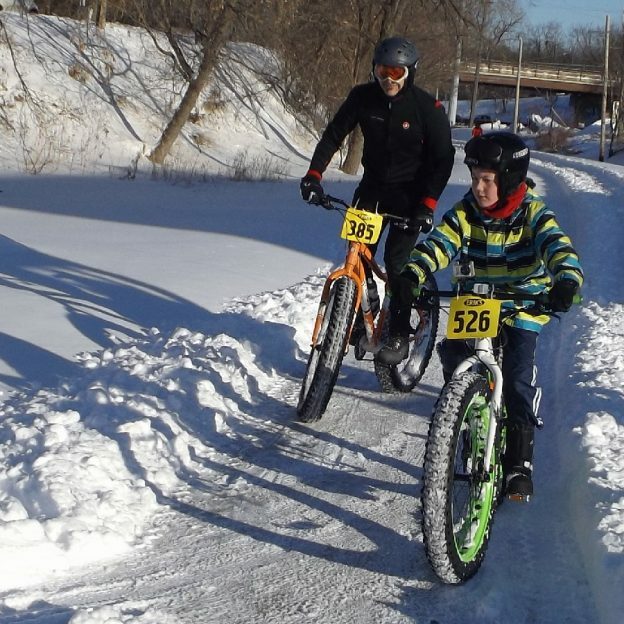 We at HaveFunBiking are nearly experts at riding in cold weather. Being from Minnesota, it’s a bit of a necessity to manage the cold. For most places in the country, cold means down near freezing, but what do you do when it feels colder than a stare from your ex-girlfriend? I’m talking super cold, like the dark side of the moon cold. Well here are our best tips for managing frostbite and cold weather on your bike. Being realistic is the most important thing. When the temperature gets perilously cold, your ride can go from fun to life-threatening in a matter of minutes. Start by figuring out the route and a few bail-out points along the way if things go wrong. Next, make sure that your ride isn’t beyond your level of gear (more on that next). Finally, be sure that you know which direction the weather is going, cold weather is a way different thing to handle if it’s cold and windy, or cold and snowing. Riding in temps approaching and dipping below zero requires very different equipment than riding in temps just below freezing. While you can often use the same jacket, pants, tights, and insulating layers, keeping extremities warm becomes a new challenge. In temperatures below 5 degrees, your eyes will water, and those tears will freeze. Both dangerous and uncomfortable the best way to combat frozen eyes is ski goggles. I find ski goggles to work better than sunglasses because they are typically more resistant to fogging, cover a larger area, and seal around your eyes. A balaclava (or ski mask) will cover everything on your head but your eyes. It can protect your nose, cheeks, neck, and ears from frigid winter temps. Additionally, they are usually relatively thin, so fitting them under a helmet is more comfortable. To find one that fits well, make sure it will cover your face quickly, but also be able to stretch open enough to expose your mouth and nose (see image below). Keeping your feet warm is paramount to keeping you warm, and nothing works better than winter boots. There are plenty of winter hiking boots that you can use with flat pedals and a few cycling specific winter boots that work clipped in. In both cases, be sure that the footwear is waterproof. 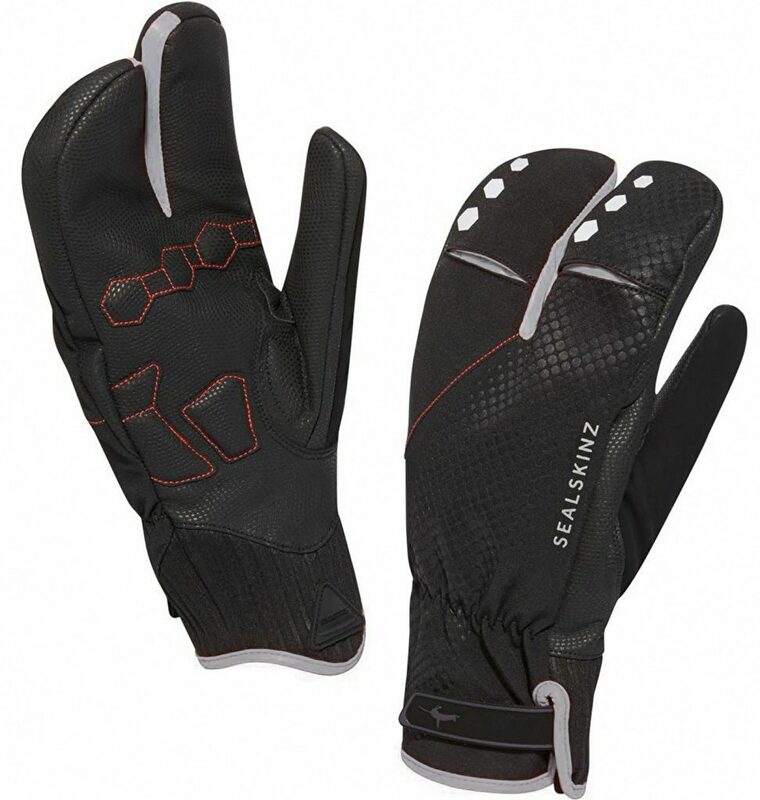 Claw style gloves work best to keep your hands warm. They bundle your fingers together to conserve heat. I also like to get super thin wool glove liners and use them in conjunction with my winter claw gloves. This first layer can stay on your hands if you ever need to take the outer gloves off. If the gloves and liners aren’t cutting it, you can also look to pogies. 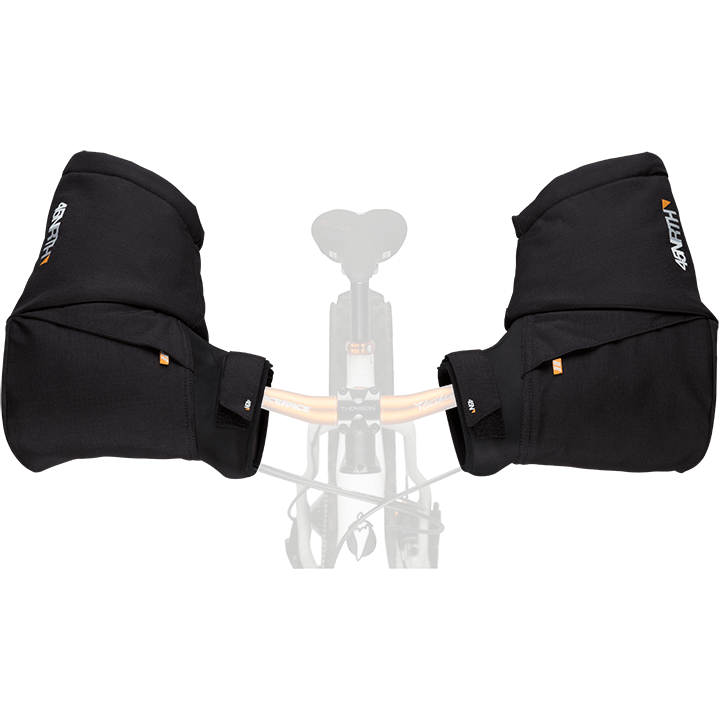 A pogie is something that mounts to the bike around the handlebars and creates a warm little pocket. Pogies are awesome when things get frigid cold. Another great accessory that helps keep your hands and feet warm is a chemical warmer. Readily available at most outdoor stores, these warmers react with the oxygen in the are to create heat. When using them, open them and leave them exposed to the air for a few minutes before shoving them in your glove for best results. I’ve talked in the past about starting a bit cold for winter riding. While this is good advice for the high freezing temperatures, your body will have serious issues creating enough warmth once the temps revolve near zero. Wear enough to be warm walking outside, and your ride will be pleasant. Also, store your clothes and gear in a warm place. Leaving your boots an gloves in a cold garage is a sure fire way to freeze yourself out. Being dry is being warm at super cold temperatures. For this reason, waterproof clothing helps a ton. Waterproof gloves, boots, jackets, pants, and gaiters will keep the water out and warmth inside. Above almost all else, a positive attitude will keep things fun in the cold weather. That positive attitude also helps if you need to cut rides short. Be appreciative for the time you had to ride vs. the time you wanted to spend outdoors. You may only get 40 minutes, so enjoy it. 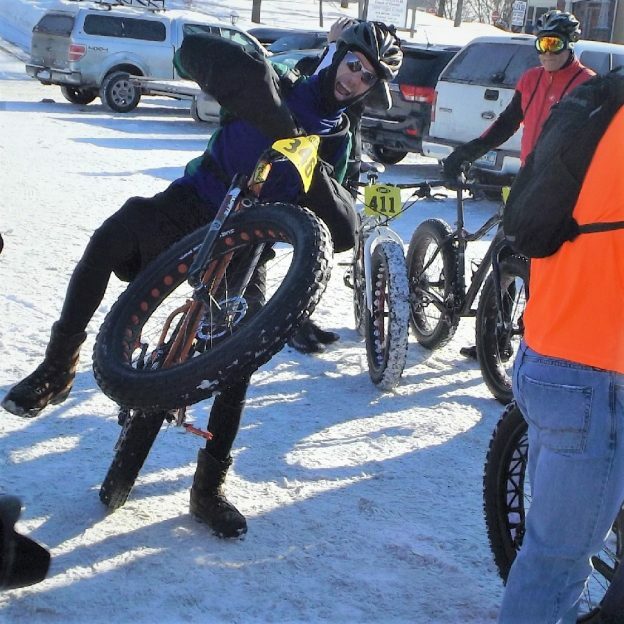 This entry was posted in News, riding tips and tagged 45nrth, balaclava, boots, cold bike, cold weather riding, cycling in cold, cycling in the winter, frost bike, goggles, hand warmers, ice bike, sealskinz, sub zero riding, Waterproof on January 13, 2019 by John Brown.